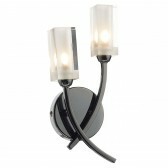 A part of the Tara range by Oaks, shows this ultra modern design in chrome, antique brass and mirrored black. 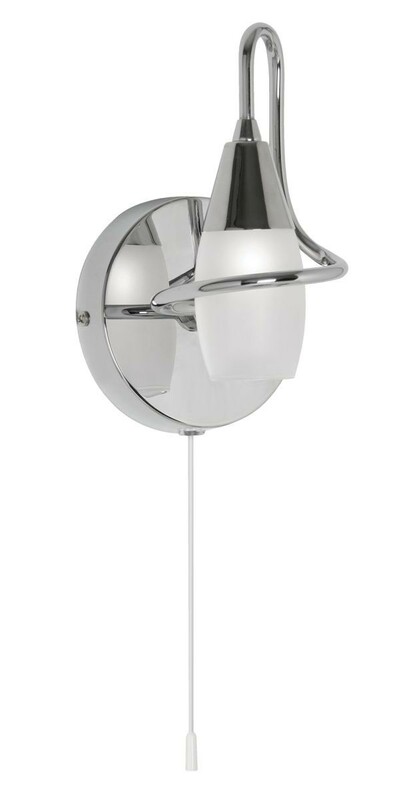 The chrome fitting shows a sleek design with a simple wall bracket and pull cord switch, showing a curving arm, curving over the white shade. 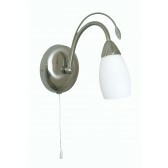 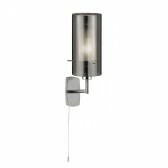 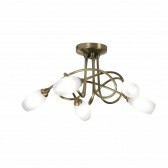 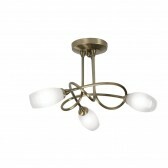 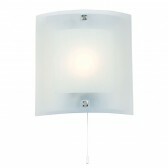 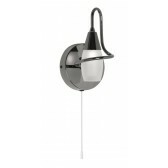 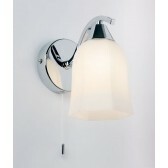 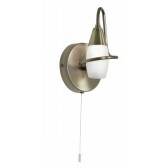 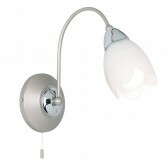 The unique design would be ideal for any home lighting up areas, that need that warm lighting source. 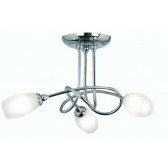 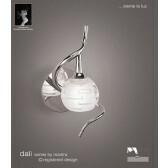 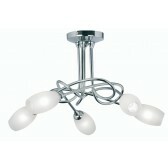 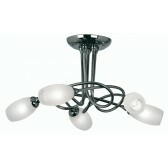 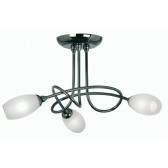 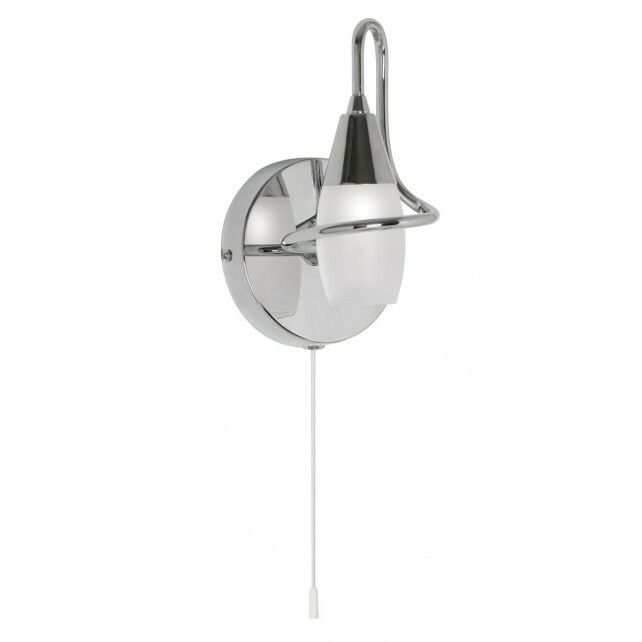 Ceiling fittings are available from this range.